As Mac OS X platform has increased in popularity, so have the needs for ransomware, malware, adware and virus removal/protection. The number of Macs affected by ransomware, malware and spyware has unfortunately been on the rise. These attempts come in many different forms. Malware (Spigot, Genio, etc.) often portrays itself as security protection software but is really doing almost the opposite. On older Macs, it may take up such a large amount of the computer’s resources that there will only be a constant beach ball (or spinning wheel of death). Another issue is Adware. Adware floods your computer with annoying pop-ups and makes browsing or getting anything done nearly impossible. Ransomware can be particularly dangerous. It demands you call a 1-800 number to remove a virus or malware. When you call the number, you end up handing over control of your computer through remote access. These call centers typically say they are working with Apple or for Apple. This is not the case. Many fall prey to this type of scam and give out their credit card numbers to get this fake virus removed or their computers unlocked. 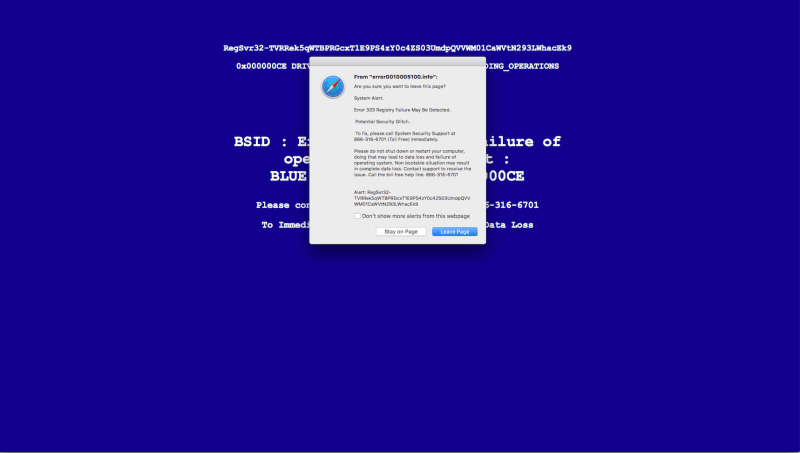 Below are a few examples of ransomware and malware I’ve seen on clients’ Apple computers in the last several months. These malware with a blue background request the user call a helpline. From error0010005100.info. Error 333 Registry Failure May Be Detected. Potential Security Glitch. Please do not shut down or restart your computer, doing that may lead to data loss and failure of operating system. Non bootable situation may result in complete data loss. Contact support to resolve the issue. Call the toll free helpline: 866-316-6701. Debug malware error 895-system 32.exe failure. Please contact Microsoft technicians to rectify the issue. Please do not open internet browser for your security issue to avoid data corruption on your Registry of your operating system. Please contact Microsoft technicians at Tollfree Helpline at 1-844-396-3227. 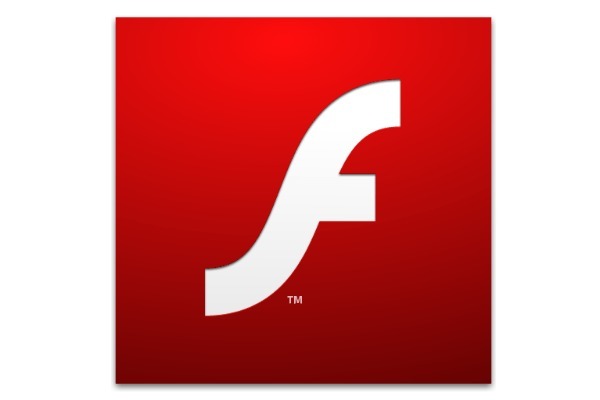 There have been dozens of legitimate updates to the Adobe Flash Player in the last year. There has also been an influx of fake Adobe Flash Player update notifications. The malicious notifications to update often appear very similar to the legitimate ones. The message you see is a variation on: “Warning: Your Flash Player is Outdated. A critical security update has been released and your are required to update your Flash Player.” There is not an option to click away or cancel. While Mackeeper is not traditional malware, it is a software I have found significantly slows down Mac users’ computers in a manner similar to Malware. It advertises itself with frequent pop-ups and can be challenging to remove easily. Ransomware, malware and spyware make for a frustrating user experience at best and an inoperable, data-breached system at worst. If you are a victim of ransomware, malware or viruses, the best thing to do is to back up all of your data and perform a clean installation of OS X. This will ensure there is no backdoor access to your Mac. I have helped many clients in the past year with malware and ransomware removal. With thorough documentation I have also been able to assist several clients in winning credit card chargebacks against ransomware charges. Please contact The IT Sage if you are looking for help with malware, ransomware, and virus removal on your Mac.